Western Digital (NASDAQ:WDC), the world's leader in external storage solutions and maker of the popular WD TV® media player family, today unveils its first line of wireless home networking products, designed specifically to accelerate movies, video and gaming, delivering a premium high-definition entertainment experience. With the My Net family of powerful and easy-to-use home networking products, WD debuts its exclusive FasTrack™ technology that instantly detects entertainment traffic on the network and fast-forwards it to gaming consoles, media players, smart TVs, tablets, smartphones, computers and other Wi-Fi connected devices. "With so many people within the home simultaneously watching movies, playing games and browsing the Web via their iPad®, iPhone®, Xbox® and other devices, the network demands placed on today's connected home has grown exponentially," states Jim Welsh, executive vice president for WD's branded products and consumer electronics groups. "Our successes in creating Connected Home solutions with our WD TV media players and personal cloud products have given us valuable insights into the network-overload problems of home wireless users, and entering the wireless home networking market offers WD an exciting opportunity to strengthen our Connected Home offerings that are aimed at enhancing the home entertainment experience for consumers." According to Nielsen and NM Incite's recent U.S. Digital Consumer Report, data from the fourth quarter of 2011 shows that 33 percent of consumers streamed a movie or TV show from the Internet through a subscription service such as Netflix™ or Hulu Plus™. Internet video services, multi-player online gaming sites, and live video chat services, combined with the explosive growth of tablets, smartphones and other devices that connect to the home network, have created a new model of home entertainment and Internet usage. With the industry's only full line of HD dual-band wireless N routers, My Net customers can fully enjoy this new age of home entertainment. WD's exclusive FasTrack optimization technology intelligently and automatically prioritizes Internet favorites like Netflix, Hulu Plus, VUDU, YouTube™, Xbox® LIVE, Skype™ and others, to create a smooth streaming experience in up to Full-HD 1080p quality. By using real-time analysis to maximize bandwidth for entertainment services, My Net routers provide a premium entertainment experience on any screen in the home that is connected to the router. The sleek hardware design of the My Net family of routers is complementary to the devices' friendly and intuitive user interface, which was designed by a veteran team of developers to enable quick router setup from wireless or wired devices such as iPads and other mobile devices, as well as PCs and Mac® computers. The streamlined router setup is designed to make it easy for novice users to be up and running in minutes, while also providing all the customization tools expert users crave. The included My Net Dashboard makes it easy for users to customize, monitor or change the settings of the network, including setting parental controls, Internet security, guest network access, network name and password, printer and scanner settings, and mapping storage drives, all in one easy view. 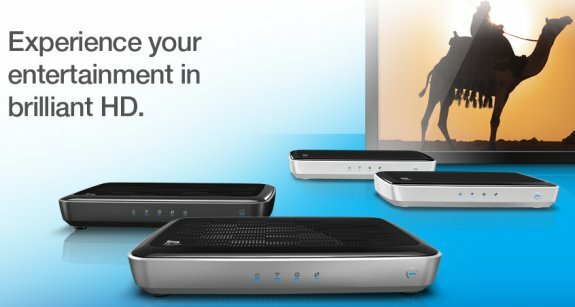 In addition to getting a premium home entertainment experience with My Net routers, customers can centralize storage and backup for all the computers in their home, as well as create a personal cloud for their digital media and remotely access those files anytime, anywhere. Part of the My Net family, My Net N900 Central is WD's all-in-one N900 router with an integrated 1 TB or 2 TB internal hard drive. Remote access to My Net N900 Central is available on any computer through www.WD2go.com and with WD mobile apps for iPad, iPhone, iPod touch® or Android™ smartphones and tablets. In addition to keeping content safe at home and always accessible while away from home, users can rely on My Net N900 Central for automatic wireless backup with the included WD SmartWare™ software for Windows®, while Mac users can utilize all the features of Apple® Time Machine® backup software. Additionally, any WD external hard drive with SmartWare software can connect directly to a My Net router to wirelessly backup all PC computers in the home. My Net N900 Central – The My Net N900 Central HD dual-band storage router provides accelerated HD streaming plus integrated storage for wireless backup and remote access. With FasTrack™ Plus optimization technology, My Net N900 Central delivers high quality, accelerated HD entertainment that is intelligently and automatically prioritized to ensure smooth streaming. The wireless-N storage router features fast wireless performance with speeds up to 900 Mbps (450 + 450 Mbps on the 2.4 and 5 GHz bands combined), as well as integrated 1 TB or 2 TB internal storage for automatic wireless backup. My Net N900 Central includes 4 LAN and 1 WLAN Gigabit Ethernet ports for up to 10/100/1000 Mbps wired speeds, 1 USB port for additional storage, printer and media share server use, and range amplifier antennas for extended range. Additionally, My Net N900 Central is Universal Plug and Play (UPnP) and Digital Living Network Alliance (DLNA) certified for easy detection and connection of Wi-Fi devices. My Net N750 – The My Net N750 HD dual-band router is optimized to deliver multiple simultaneous HD media streams on the network, delivering accelerated video to all connected wireless and wired devices. WD's exclusive FasTrack technology detects entertainment traffic and prioritizes bandwidth on the network to smoothly stream multiple HD movies, shows, games and more to connected devices. The router provides a combined data rate of up to 750 Mbps (300 + 450 Mbps) and features 5 Gigabit Ethernet ports and 2 USB ports. My Net N600 – The My Net N600 HD dual-band router is ideal for simple and fast web surfing and entertainment streaming with FasTrack technology for a smooth HD viewing experience. The router provides a combined data rate of up to 600 Mbps (300 + 300 Mbps) and features 5 Fast Ethernet ports with 1 USB port. My Net Switch – My Net Switch is an 8-Port Gigabit home entertainment switch, ideal for instantly expanding your wired connections with super fast Gigabit Ethernet up to 10/100/1000 Mbps. My Net N900, My Net N750, My Net N600 and My Net Switch will be available June 14 at select U.S. retailers and online at wdstore.com. My Net N900 Central will be available next quarter.